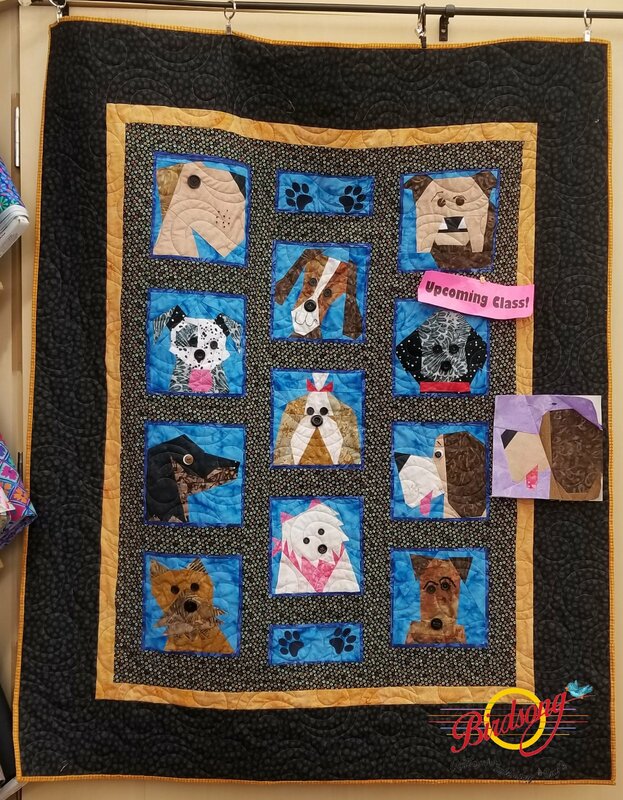 "Dogs Only Quilt Pattern" by Made by Marney - This is a Wonderful Paper Piece project for all of the dog lovers in our lives! Requirements: Please bring basic sewing supplies including your sewing machine. If you would like to sew on one of ours simply let us know in advance so that we can move one to the classroom prior to the beginning of class. * The "Add a Quarter Ruler" and "foundation piecing paper" are both tools we recommend. You will learn more about these tools during class and both are available for purchase. Also bring scissors, pins, a rotary cutter, a quilters ruler and tread to match your project.